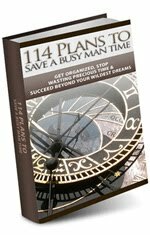 There are scores of time-saving plans in this little book, but each of them was selected only after one or more similar plans had been discarded. Several hundred plans were carefully inspected to secure the 114 printed in the book. "Where did they all come from?" you will probably ask. They have been furnished by a group of unusually successful business men with which the editorial organization of the A. W. Shaw Company has built up a confidential contact. Only those in this group who have specialized on working out plans and methods for saving time supplied material for this particular book. So the book really not only contains the very best plans from among several hundred for cutting down time wastes, but the best plans worked out by the men with the best records for perfecting plans whom the A. W. Shaw Company has been able to discover after a country-wide search extending over a number of years. This explains why the plans cover so many types of business. But this only increases their value, of course, for it is a demonstrated fact that nine out of every ten plans that succeed with one type of proposition can be used for almost all other types. Furthermore, the ever- increasing intensity of the competition which business men face nowadays makes it necessary for them to draw their ideas from more than one type of proposition if they are to keep up to date. Just try out one or two of the plans that appeal to you most if you want a first-hand proof of this assertion that ideas can be transferred from one field to another. As a matter of fact, there are many classic incidents illustrating this truth—the cash register is said to have come from a device for recording the revolutions of a ship's engines, for example. These incidents all go to illustrate the important fundamental truth that the various types of business are after all very much alike. The A. TV. Shaw Company has on file records of hundreds of letters which demonstrate the practicability of using the other man's idea. There is even a department "How I Used Another Man's Idea" in its magazine, SYSTEM, which you will receive in connection with your purchase of this book. bulky, we changed Mr. Leffingwell's idea. He described a rack on the 'incoming mail' table, with narrow vertical divisions in which the sorting clerk places letters and department notes to the various men. "We have, instead, compartments that run clear through the rack. The incoming mail is sorted into the respective pigeonholes by the man who handles this work on the mailing room side of the rack. On the office side of the rack the letters are taken out and stuffed into the deliver}' folders for the boy. It saves us lots of time in handling the incoming mail." Be sure to read each issue of SYSTEM carefully, for it will describe to you month after month not only many other tested plans for saving time, but also new and practical methods for increasing your sales, for advertising, training salesmen, keeping records, holding down expenses, and carrying on all the other activities of your business in the most effective way.